Climate engineering (CE)—intentional, global-scale modification of the environment to offset some of the effects of elevated greenhouse gases—appears able to reduce climate-change risks beyond what is possible with mitigation and adaptation alone, including enabling integrated climate-response strategies that reduce risks in ways not otherwise achievable. Moreover, large-scale use of CE is probably necessary to achieve prudent climate-change limits, including the Paris targets of limiting global heating to 1.5 to 2.0°C. CE cannot replace mitigation or adaptation, which remain essential to limiting climate risks. And CE in its various forms, both large-scale atmospheric carbon removal and sunlight-scattering solar geoengineering, poses novel, substantial, and uncertain risks. The treatment of CE thus far in climate research, assessment, scenarios, and policy debates has been gravely inadequate. In view of the prospects CE poses for great benefit or harm, it urgently requires expanded systematic research, and serious critical examination in climate-change assessments and scenarios – despite the challenges such examination will pose to many comforting, widely shared presumptions of climate policy debates. The prospect of CE also poses acute challenges to international decision-making and institutions – whether the aim is to use it competently, prudently, and legitimately as part of an effective strategic climate response, or to make an effective and enforceable decision to renounce it. Having an informed capability to deal with domestic and international policy challenges related to CE when they arise – which they will – requires urgent attention to its capabilities, risks, and governance needs. Edward A. 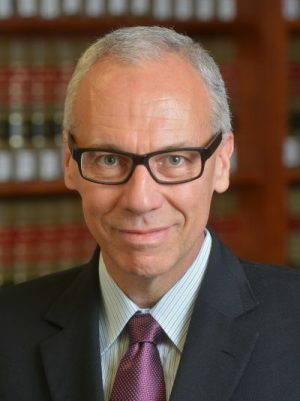 (Ted) Parson is Dan and Rae Emmett Professor of Environmental Law and Faculty Co-Director of the Emmett Institute on Climate Change and the Environment at the University of California, Los Angeles. Parson studies international environmental law and policy, the role of science and technology in policy-making, and the political economy of regulation. His articles have appeared in Science, Nature, Climatic Change, Issues in Science and Technology, the Journal of Economic Literature, and the Annual Review of Energy and the Environment. His most recent books are A Subtle Balance: Evidence, Expertise, and Democracy in Public Policy and Governance, 1970-2010 (McGill-Queens University Press, 2015), The Science and Politics of Global Climate Change (with Andrew Dessler) (2nd edition 2010, 3rd edition forthcoming from Cambridge), and Protecting the Ozone Layer: Science and Strategy (Oxford, 2003), which won the 2004 Sprout Award of the International Studies Association and is widely recognized as the authoritative account of the development of international cooperation to protect the ozone layer.